VISION AND PRAYER is the big strong 5yo daughter of 6 Time G1 winner DYLAN THOMAS himself a 9 time Group 1 producer. There is no doubt his mares will be in demand for sons of I AM INVINCIBLE, INVINCIBLE SPIRIT and others standing at stud. She is half to the talented middle distance performer OLYMPIC ACADEMY a $446,000 earner who is still going strong as an eight year old. Her Dam LAGUNA LASS is half to Group 1 winner and $1.3 million dollar earner COURT'S IN SESSION, so there is plenty of potential for her as a broodmare when the time comes. On the racetrack Vision And Prayer is a winner over 1800m in her current prep leading from start to finish. She also placed 1st up and 2nd up this prep over 1400m & 1500m, again from the front and looks best suited as a leader. For more information on this mare please contact Royal Bloodstock. DYLAN THOMAS (IRE) (Bay 2003-Stud 2008). 10 wins-2 at 2, Longchamp Prix de l'Arc de Triomphe, Gr.1. Sire of 818 rnrs, 505 wnrs, 36 SW, inc. Blazing Speed (HKJC Audemars Piguet Queen Elizabeth II Cup, Gr.1), Dylan Mouth, Nightflower, Nymphea, Penn Rose, Tannery, Pether's Moon, Ladies First, Final Score, Caspian Prince, Not Listenin'tome, Porsenna, Dylan's Promise, Premiere, Captain Cat, Bicampeon Chileno, Sensa Paura, Sweet Thomas, etc. 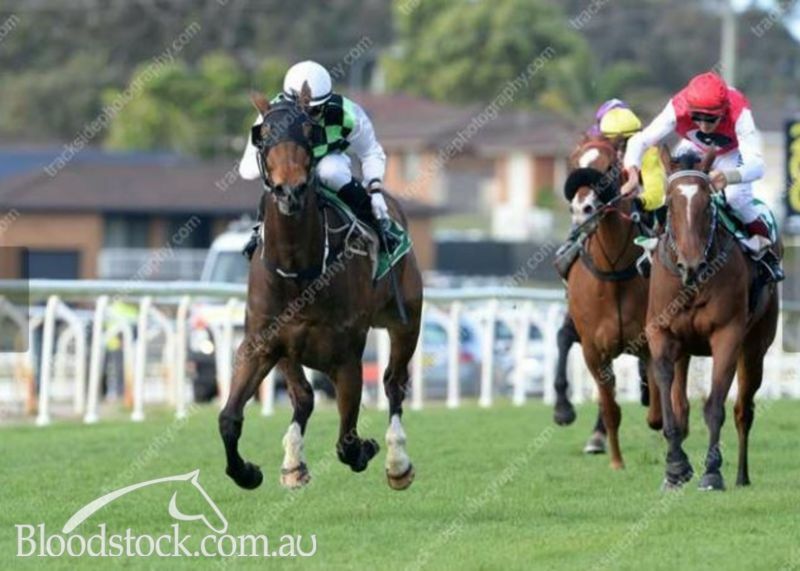 Olympic Academy (g by Magic Albert) 11 wins from 1600m to 2400m, A$447,505, to 2018-19, ATC Bowermans Furniture H., Rebecca Louise H., Tab.com.au H.-3 times, SAJC Hughes Limousines H., Taree Cup, 2d ATC Adina Apartment Hotels H., Tab.com.au H., Harvey Norman H., Hyland Race Colours H., Ezymart H., Ranvet H., 3d ATC Sunblest Cleaning Services H., Vili's Pies H., Schweppes H.
Vision and Prayer (f by Dylan Thomas (Ire)) Winner. See below. M'Lady's Lass (f by Duke of Marmalade (Ire)) Winner at 900m in Aust. All Stand. 5 wins to 1100m, A$137,225, to 2018-19, ATC TAB H., TAB Highway H., 2d ATC TAB Highway H.
Woohoo. Winner at 1200m in 2017-18 in Aust. COURT'S IN SESSION (g Bureaucracy) 14 wins from 1200m to 1600m, A$1,402,425, STC George Ryder S., Gr.1, AJC Warwick S., Gr.2, Expressway S., Gr.2-twice, Newcastle JC Cameron H., Gr.3, Hawkesbury Gold Cup, Gr.3, QTC Jones Lang Lasalle H., Black Onyx H., Bonecrusher H., BTC Redchip Lawyers H., 2d AJC Doncaster H., Gr.1, Chipping Norton S., Gr.1, Apollo S., Gr.2, QTC Brian Murphy Birthday H., 3d QTC Baxter Healthcare P., Clarence River JC Grafton Guineas, 4th AJC Warwick S., Gr.2, Villiers S., Gr.2. Brave Court. 4 wins to 1400m, 2d BTC Pedigree Guide Dog H., Sovereign Red H., 3d QTC Lowan Star H.
Laguna Lad. 4 wins from 1200m to 1600m in Aust. Laguna Lass. 2 wins. See above. Talking Tough. 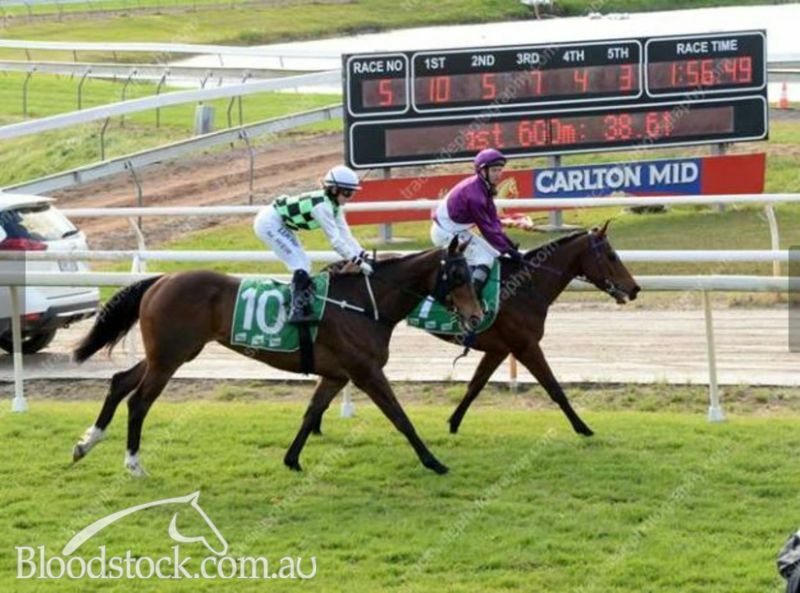 3 wins at 1050m, 1250m in Aust. Front Line Lady. 3 wins to 1400m, 3d QTC Victoria Park S. Producer. Markatie Court. 2 wins. See above. Shunned. 2 wins at 1000m, 1100m in Aust. Producer. Let Me Out. 2 wins-1 at 2-at 1000m, 1200m, WATC Possum H., Graduation S., 3d WATC Chestillion H. Producer. EYES OF STEEL (f At Talaq) 5 wins-4 at 2-from 1000m to 1600m, SAJC Hahn Ice S., L, BMW Australia H., Australian Formula 1 Grand Prix 2YO H., Lord Galaxy 2YO H., 3d MVRC Qantas Frequent Flyer H., SAJC Tasty Skim H., 4th SAJC Sires' Produce S., Gr.3. Producer. POLISHED STEEL - SELIGI (Sing.) (g King of Danes) 6 wins-1 at 2-from 1200m to 1600m, R327,205, S$223,530, Scottsville Byerley Turk P., Gr.3, Singapore TC Class 4 H., Benchmark 67 H., 2d Kenilworth Matchem S., Gr.3, Singapore TC Kranji C S., Kindness S., Big Hearts S., Class 3 H.-3 times, Class 4 H., 3d Singapore TC Top Spin S., Anniversary Cup, Kranji C S.-twice, Class 3 H., Benchmark 67 H.
CARIAD (f Sequalo) 5 wins to 1200m, A$255,350, BRC Nudgee H., L, Bright Shadow H., L, Hardy Brothers Jewellers P., 2d Toowoomba TC Weetwood H., L, BRC Lyndhurst Stud Quality H., Events at BRC QTIS 3YO H., Toyota Service Advantage H., Toowoomba TC Neil Mansell Concrete Quality H., 3d BRC Juanmo S., L, Bundaberg Red H. Producer. Race Record: 14 Starts 1-1-1 A$22,360. Won Port Macquarie Steeline P. (1812m), 2nd Port Macquarie Fulton Industries Aust Maiden P., 3rd Krambach Wauchope Stock & Estate Maiden P.
17/Aug/2016 4th of 5 --trial--Muswellbrook RC Barrier Trial, 900m. Undertaker was 1st and Gracious Ryder 2nd and Anticipate 3rd. 26/Aug/2016 7th of 7 --trial--Scone RC Barrier Trial, 900m. Black Platinum was 1st and Azzie's Ready 2nd and Mr Casson 3rd. 05/Dec/2016 3rd of 6 --trial--Gosford RC Barrier Trial, 800m. Bonnie Forever was 1st and Paris for Me 2nd. 19/Dec/2016 3rd of 6 --trial--Newcastle JC Barrier Trial, 800m. Pindara was 1st and Weavered 2nd. 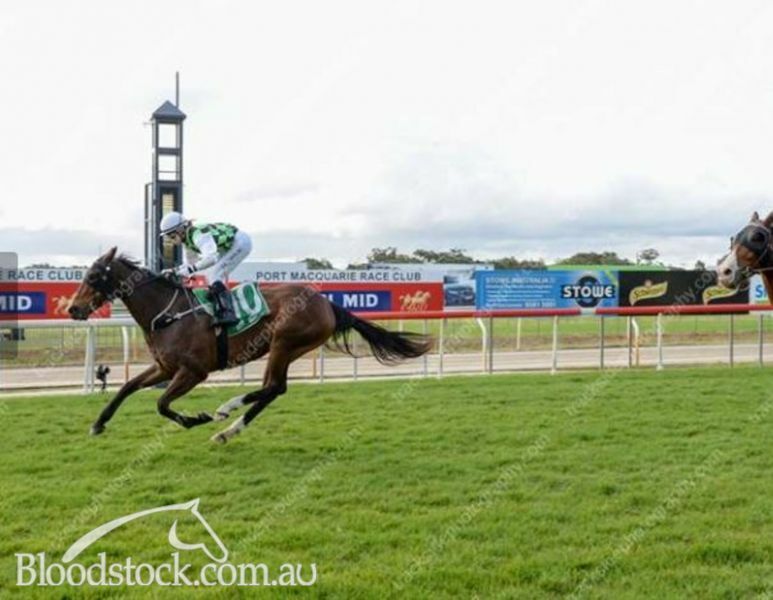 (16.1) Taree-Wingham RC Harrington Cellars Maiden H., A$24,800, 1250m, time 1:14.60. Track soft(6). Carried 56.50kg. Pindara was 1st and Hammoon Bridge 2nd and Speed With Ease 3rd. Trainer: T S Howlett. Owner: P F Cruikshanks, J Sekulovski, M G Souter, A N Nikolovski, C D Gaunt, Dr J R Matthews, Mrs S P J Cullen, J Nikolovski, Miss E L Gaunt, Ms M J Gaunt & G M Long. Jockey: P King. 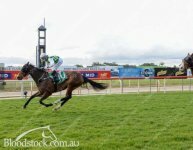 18/Jul/2017 2nd of 7 --trial--Newcastle JC Barrier Trial, 800m. Cunningar Lass was 1st and Geegeeaye 3rd. 02/Aug/2017 6th of 8 --trial--Gosford RC Barrier Trial, 800m. Tokelau was 1st and Spooky 2nd and Fencourt 3rd. 05/Jan/2018 7th of 8 --trial--Newcastle JC Barrier Trial, 900m. Sneaky Fella was 1st and Grasslands 2nd and Ellie's Encore 3rd. 15/Aug/2018 1st of 5 --trial--Scone RC Barrier Trial, 900m. Mr Wong was 1st and The Debater 3rd.